We received our first snow of the year this week. My guess, about a quarter of an inch. 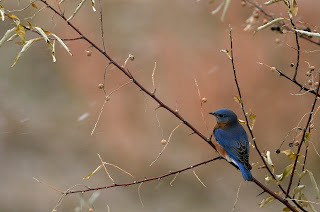 Several blue birds are hanging around here in the morning. I tried to capture the snow flakes and the blue bird together. Wish I could have stayed a little while longer - but someone had to get to work.